Broadcasting at 09:00 AM., Wednesday, July 28, 2010. Thai PBS TV. 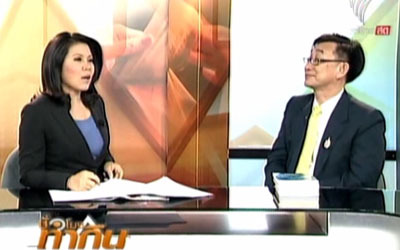 Dr.Sopon Pornchokchai, President, Agency for Real Estate Affairs was interviewed on Real Estate Outlook by Dr.Rungthip Chotnapalai.